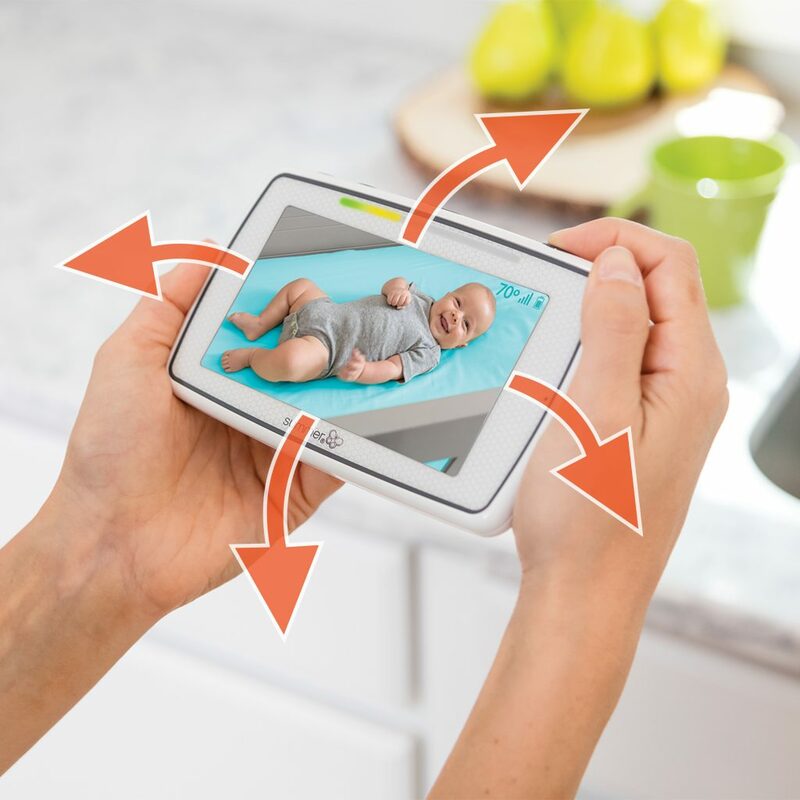 Packed with innovative, patent pending features the award-winning Baby Pixel™ Monitor provides extra peace of mind to parents, bringing a greater level of safety and control. 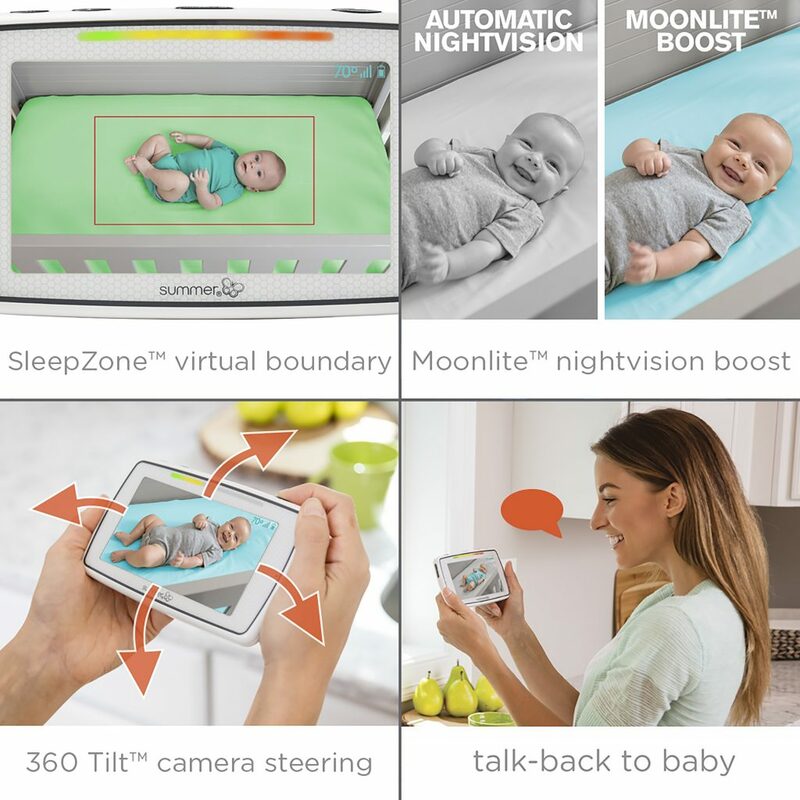 Offering a large 5” colour touchscreen, the Baby Pixel™ Monitor includes a Moonlite™ enhanced night vision boost, 360Tilt™ camera steering to remotely pan, tilt and zoom, and a Sleepzone™ virtual boundary to alert parents when baby moves outside of a pre-set virtual border. 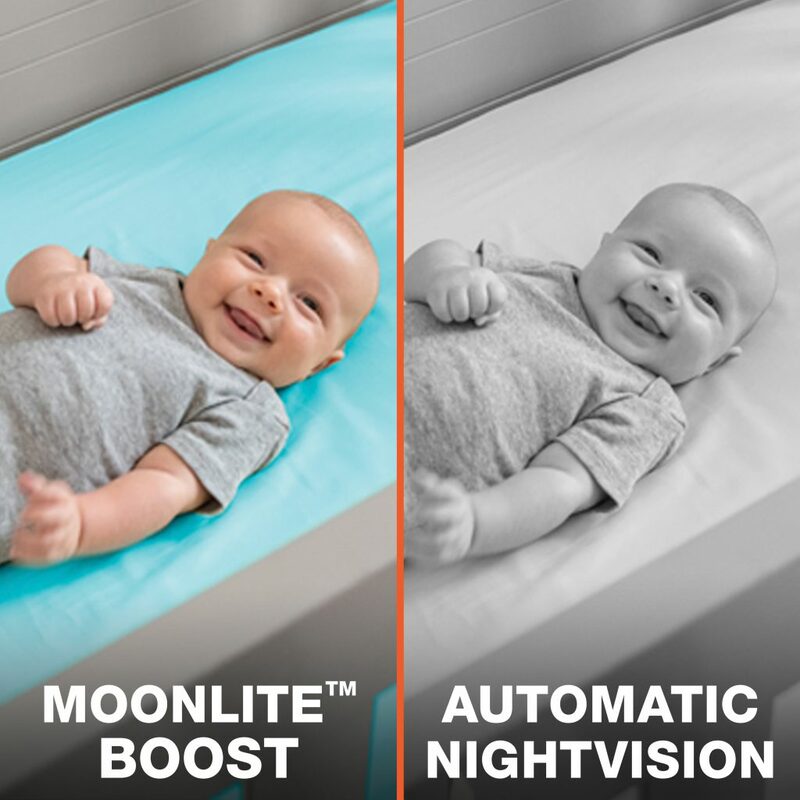 • Moonlite™ enhanced colour night vision boost to see baby as clear as day by softly illuminating the nursery. 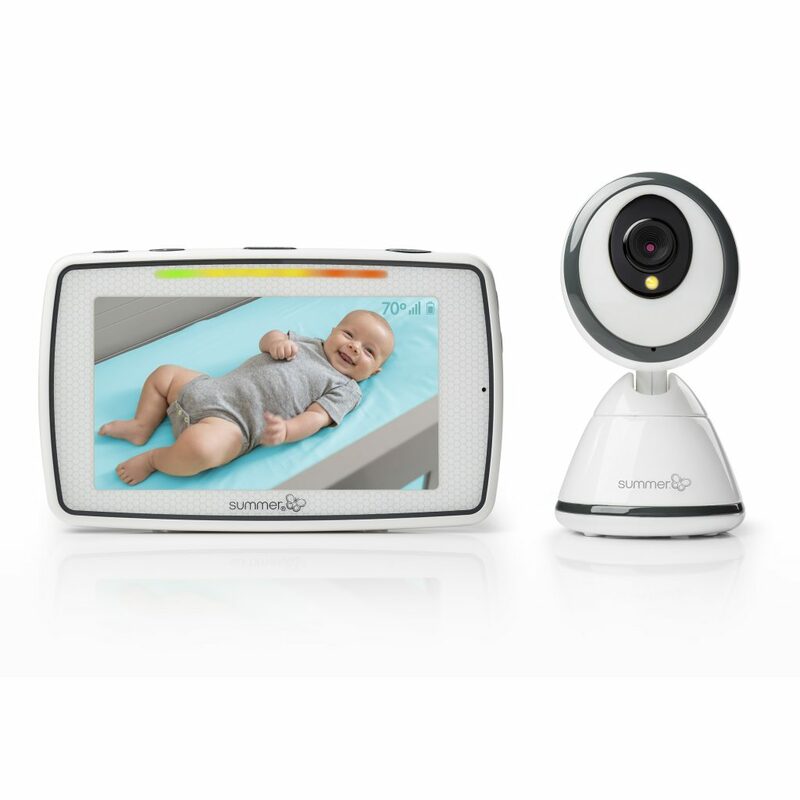 • 360 Tilt™ camera to view different angles of baby’s room by tilting the parent unit up and down or side to side. 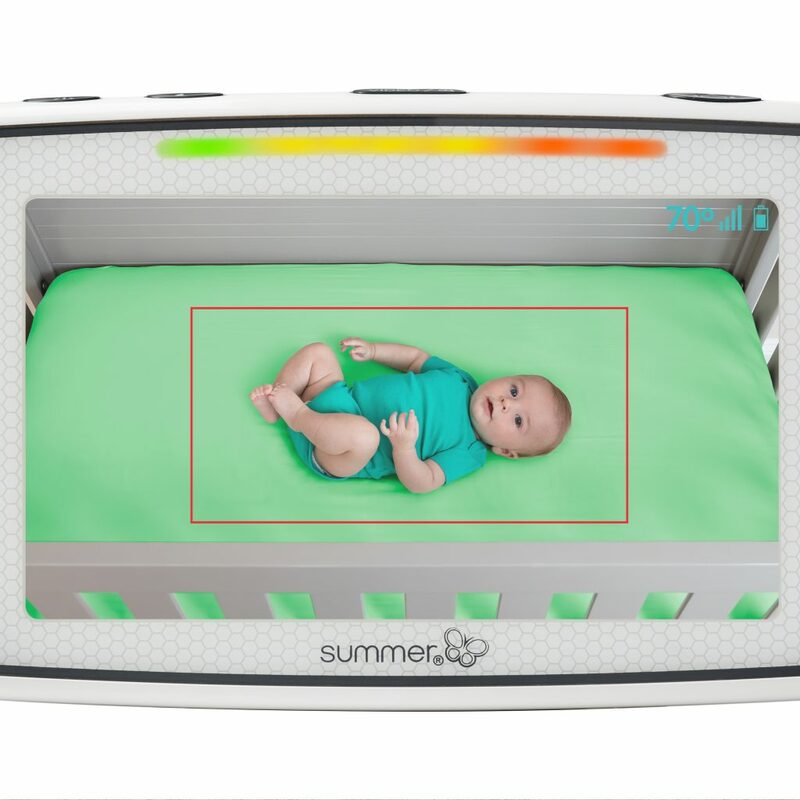 • Unique Sleepzone™ virtual boundary alerts parents when baby moves outside of the pre-set virtual border. • 5” high resolution colour touch screen. 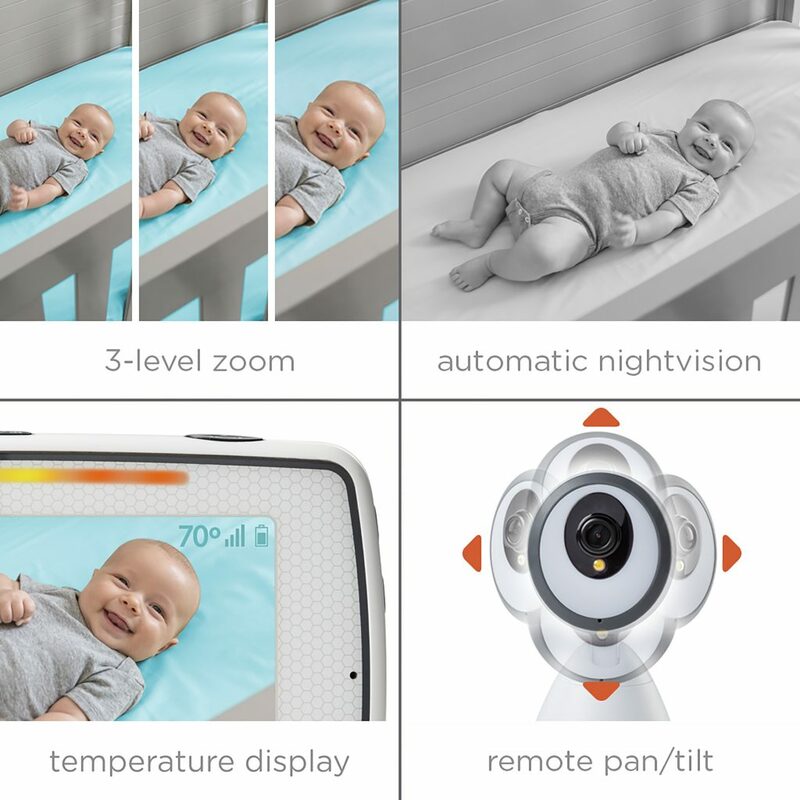 • Voice activated (VOX) technology ensures the video screen automatically wake ups when baby stirs. • 3x remote digital zoom with remote pan and scan. • Two way talk back. • Onscreen nursery temperature display and clock. • Sound activated LED lights. • Remote controlled soft glow nightlight with 2 colour options. Red helps get baby to sleep while blue acts as a nightlight to soothe baby when they are asleep. • Power Save button to preserve battery life. • Low battery and out of range indicators. 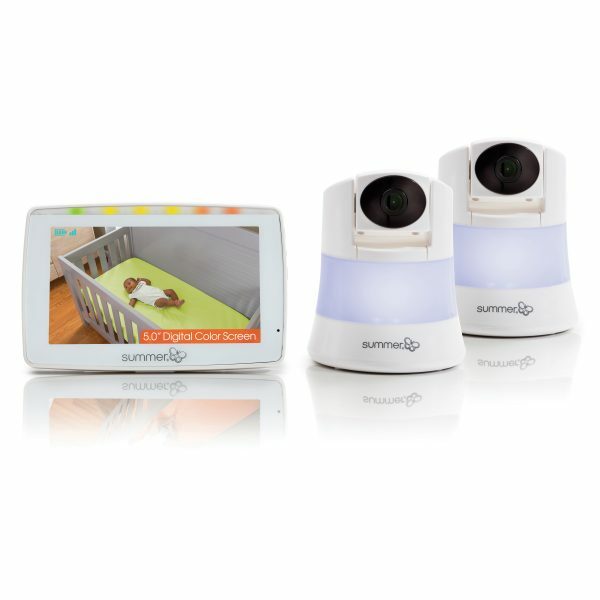 • Add up to 3 extra cameras to monitor multiple rooms and children. • Includes 2x European adaptors, 6 cable clips and a quick start guide for easy set up. For little movers, wiggle-worms and escape artists alike. This innovative new technology helps parents alleviate some of those nap time and nighttime worries! 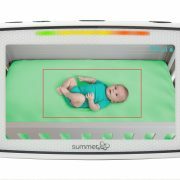 Set a boundary box around baby’s safe space to alert you when your child exits their immediate surroundings. 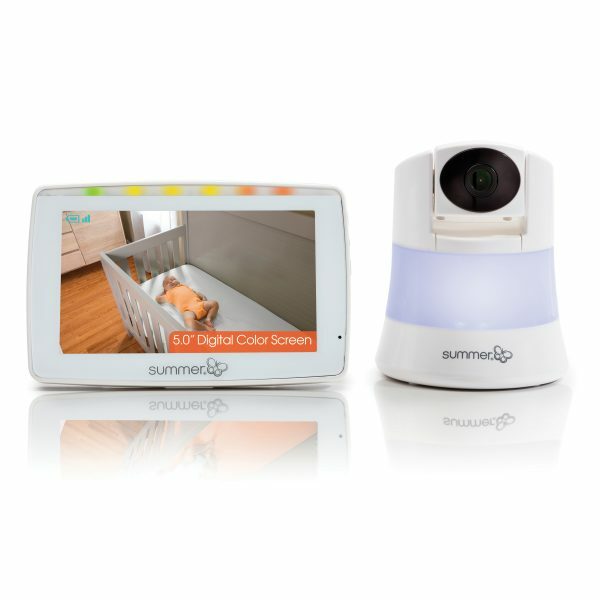 Whether your child rolls into a corner or is plotting an escape, the sound alert will help you to keep baby safe. 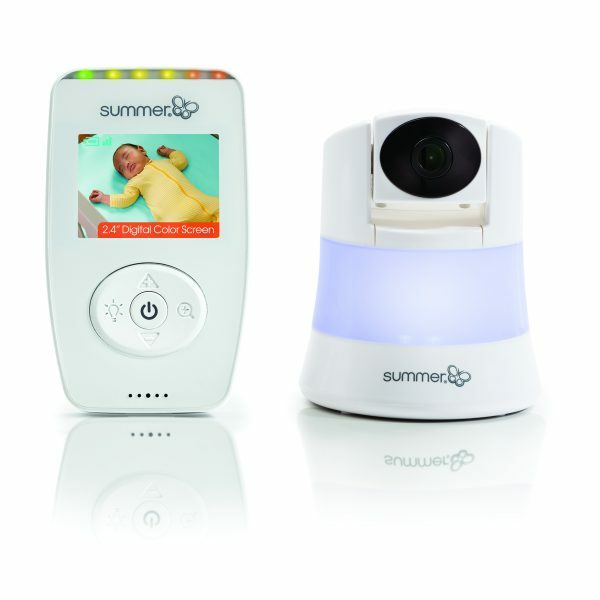 Now your baby is the star of the show – not the blurry, black and white night vision of the past. This unique feature allows you to subtly illuminate your camera’s viewing area for a clearer, temporary, in-colour view of baby in the dark. With the touch of a button this technology will gently light up your life! 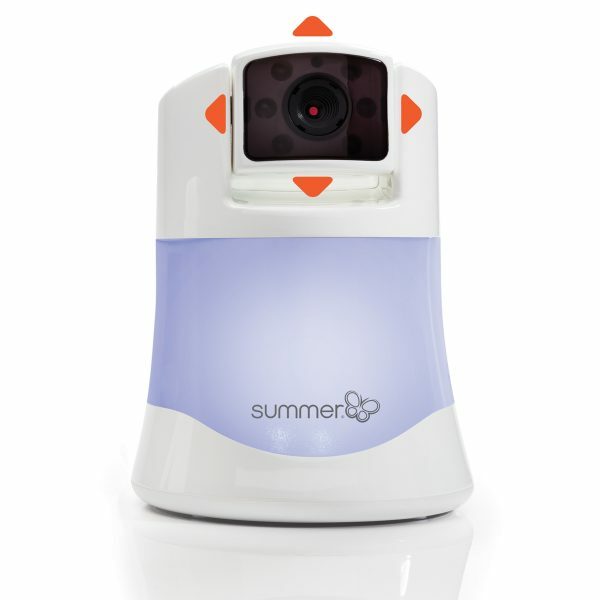 Where virtual reality meets baby monitor. Your movement is replicated in real-time as you tilt and move this 5” handheld screen up, down and side-to-side for a better view of baby. 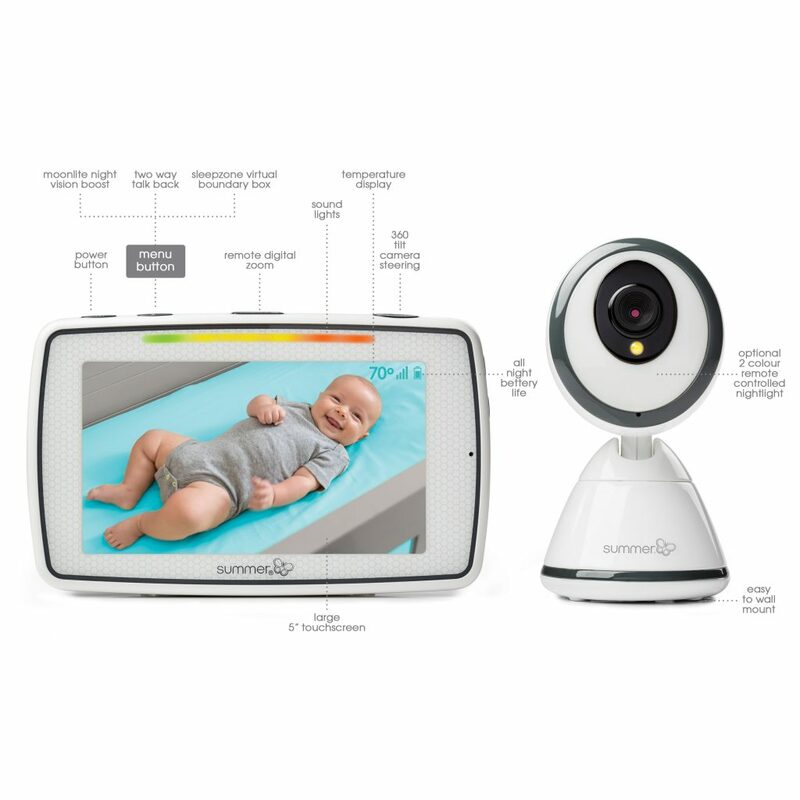 Control the camera viewing position remotely and this camera will follow along mimicking your fluid movements, or simply tap a button for touchscreen steering. When life feels a little chaotic, control is in your hands.
" I would recommend as it has exceeded my expectations and has some really unique and useful features that I used more than I expected to. " "The product is very easy to set up and install. 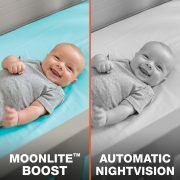 Gives great piece of mind actually being able to see my baby which is made easier through the moonlight boost feature. The nightlight feature is also fabulous I love how it changes colour from red to help going to sleep to blue when they are actually asleep saves buying a separate nightlight." " Lovely product easy to use very smart. This is really good, looks nice, easy to use, good picture, good sound. It is also light weight, sturdy, has many useful features including big screen, clear display and a wipeable monitor." "You’re able to move the camera either by pressing the screen or tilting it which is a great feature. 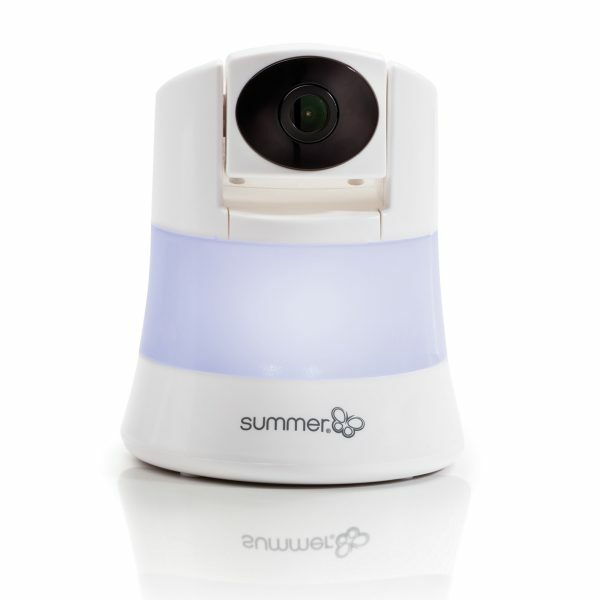 I love the talk back feature, if you need to reassure your little one without actually going into their room. " "The huge screen was really reassuring as it offered such a clear picture of the whole room from every angle and the sleep zone boundary is a really novel concept." 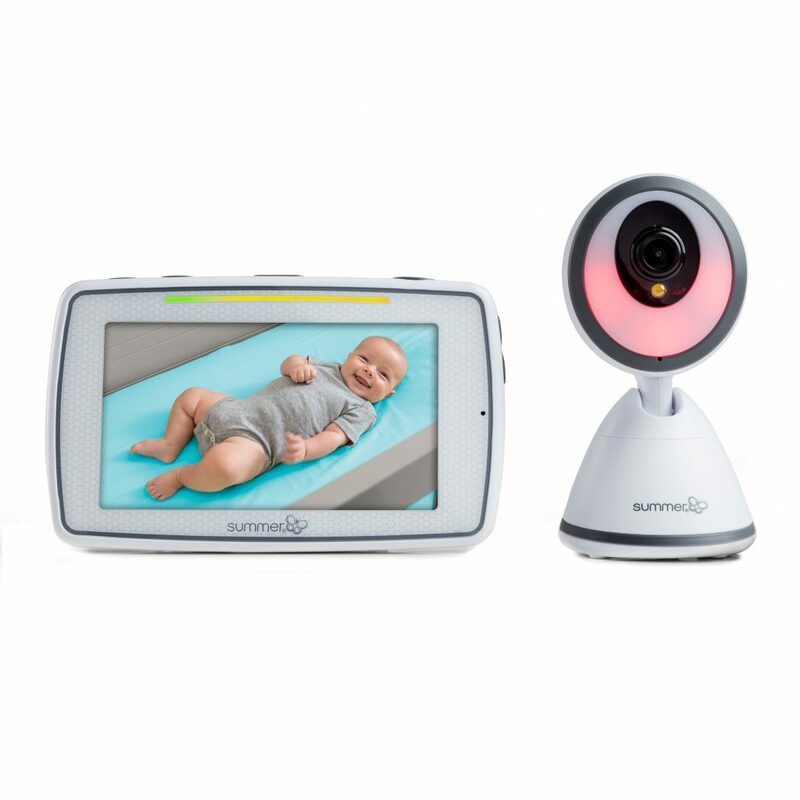 "I love the 360 tilt function, as it means that if the camera gets knocked (we have it standing on a chest of drawers), then we can easily regain sight of the cot, without having to sneak back into the room of a sleeping baby!"